One of the oldest buildings on Skidaway Island, the Roebling House at the University of Georgia Skidaway Institute of Oceanography, recently received a facelift courtesy of Lowe’s community service program, Lowe’s Heros. Long before there was The Landings and thousands of residents on Skidaway Island, the Roebling family operated a cattle farm named Modena Plantation on the north end of the island. Robert and Dorothy Roebling and their family arrived on the island in 1935 on board their three-masted schooner, the Black Douglas. The Roeblings were part of a prominent and wealthy New Jersey family. Robert’s great-grandfather, John A. Roebling emigrated to the United States from Germany in 1832. An engineer by profession, the elder Roebling became one of the first developers of what was called “twisted wire cable,” which is used in the construction of large suspension bridges. The John A. Roebling’s Sons Co. manufactured cable and built bridges. Roebling’s most famous project was the Brooklyn Bridge, considered an engineering marvel at the time of its construction. Advancing several generations to the 1930s, Robert and Dorothy Roebling wanted to move their family away from the Depression-era, crime ridden Northeast, and purchased a several-hundred acre hunting preserve, Modena Plantation, from a friend of theirs, Ralph Isham, and turned it into a cattle breeding operation. Shortly after their arrival, they constructed the structural framework for the Roebling House. However, the family continued to live on the boat, and the building remained a skeleton for several years. In early 1941, the family sold the Black Douglas to the U.S. Fish and Wildlife Service, forcing the couple and five children to obtain new quarters. “There was a mad scramble for plywood and building materials to finish the house before the start of the war, which everyone knew was coming,” according to W.R. “Rip” Roebling, one of the Roebling’s sons. “Unquestionably, it was spartan but you probably wouldn’t have known it by the time Mother finished decorating the place with cozy couches, tapestries, Persian rugs and game trophies that surrounded two side-by-side grand pianos in the center of the room, creating a lodge effect,” Roebling recalled. 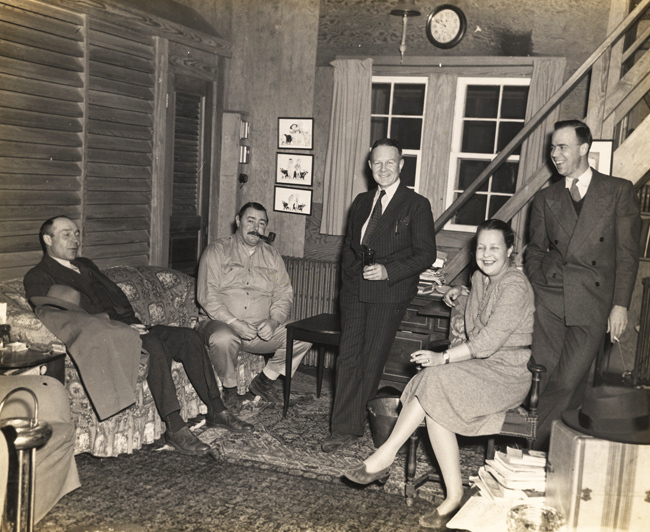 World-famous composer Johnny Mercer (far left) visits with Robert (seated with pipe) and Dorothy Roebling in the Roebling House. 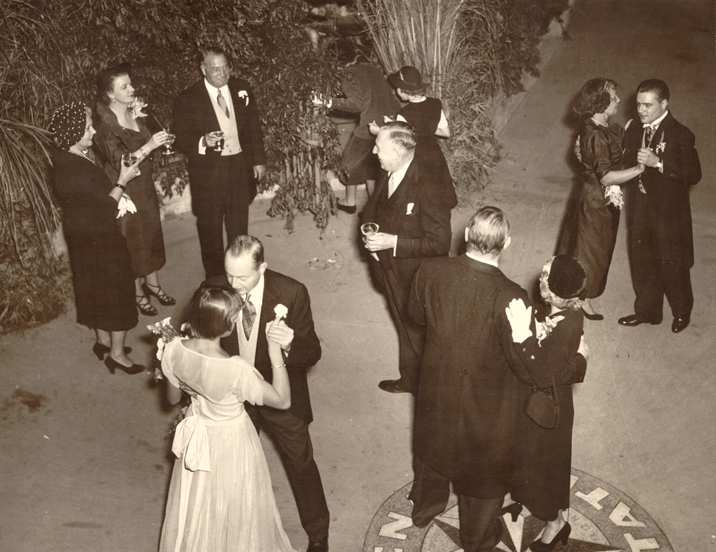 The Roeblings were heavily involved in the Savannah social scene and entertained at their island home. One notable visitor was world-famous composer Johnny Mercer. In stepped Lowe’s Heros, spearheaded by Molly and Owen Riggs from Lowe’s Abercorn Street store. Lowe’s Heros is a program by which the company and its employees reach out to their communities through each individual store. “The couple said they have done annual projects around town including the Ronald McDonald house, but this year they wanted to look around for a new recipient,” Chuck Hartman, Skidaway Institute’s director of land and facilities, said. Riggs assembled a team of 20 volunteers from the store. They included colleagues from management, sales and the delivery staff. In addition to the associates, the team also had two of Lowe’s plumbing installers help. 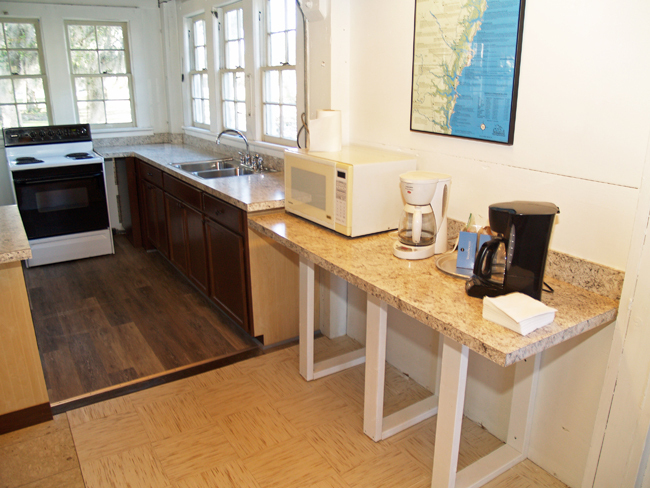 The volunteers replaced the kitchen cabinets, counters, sink and installed new vinyl flooring. Upstairs they installed lauan plywood to the railing to screen from below. They also replaced flooring in the bathrooms, installed new toilets and added a fresh coat of bright white paint on the downstairs walls that brightened the room. The work was completed over two days, with all the materials supplied by Lowe’s. Along with other improvements, Lowe’s Heros installed new cabinets, counters and flooring in the Roebling House kitchen. “Each store is given a grant through our corporate headquarters,” Riggs said. “If a contractor were to do this type and amount of work, the labor costs alone would reach $5,000 to $6,000.” Adding the cost of materials – roughly $2,500 – would have brought the total price tag close to $8,000. However, the project was free to Skidaway Institute. “No charges were given to the Skidaway Institute, because this was the project we wanted to work on,” Riggs said. According to Riggs, the project was a bit of an eye opener. Many of his volunteers had visited the campus in the past, but they had never seen the Roebling House. “Learning about it and its history from Chuck Hartman was very interesting,” he said. Editor’s notes: Debbie and Rick Jahnke were longtime members of the Skidaway Institute family. Rick was a faculty scientist and, for several months, interim director of the institute. Debbie was his research coordinator. They both retired in 2008 and moved to Port Townsend, Washington. In March of this year, the Georgia General Assembly approved a $3 million bond issue to renovate and repurpose the old Roebling cattle show barn at UGA Skidaway Institute into usable laboratory and meeting space. In 1986, Rick Jahnke interviewed for a faculty position at Skidaway Institute of Oceanography. At the time, he was a research scientist at Scripps Institution of Oceanography. Rick returned home to San Diego with the impression that he wouldn’t be hired because Stuart Wakeham had also interviewed for the position and would undoubtedly be selected. Instead, Skidaway Institute came up with the funds for two positions and hired both Rick and Stuart. Rick’s start-up requests to Skidaway Institute were modest: a germanium detector and a desktop computer. 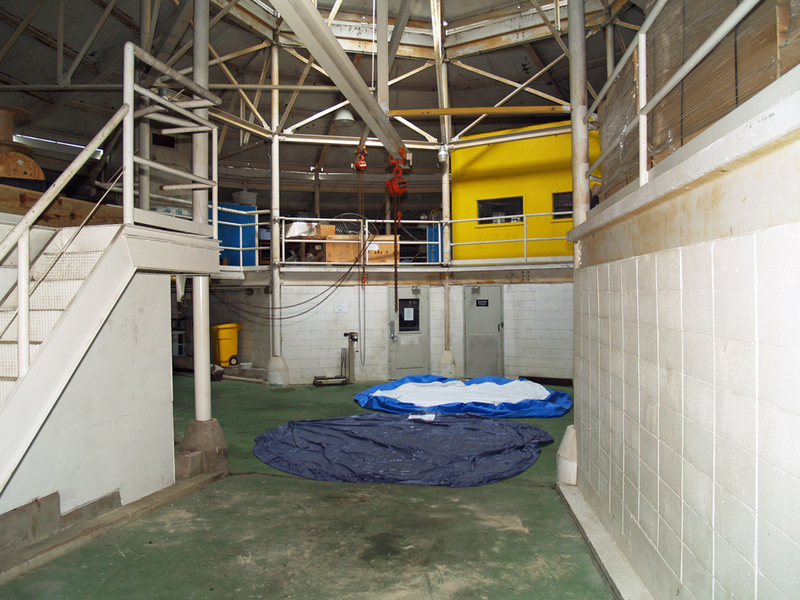 He also requested lab and office space in the Roebling building and a staging lab in the barn for maintenance, repair and modification of his various seagoing autonomous vehicles. The barn was nearly perfect for that purpose, with plenty of storage space and a central open area that allowed loading and offloading of equipment with a hand-winched pulley system. Rick didn’t need any extra space for me and, instead, split his office with a wall so there was a spot just big enough for my desk and a “labradog” named Daisy. I was the analytical tech for his research and he hired an equipment tech for the seagoing operations. 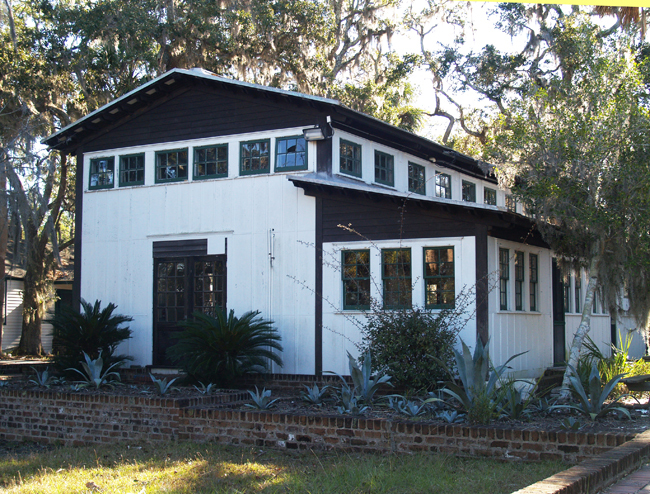 The barn lab operations expanded to the second floor of the barn when it became clear that anyone interested in measuring natural levels of C-14 wasn’t going to be able to do it in many existing Skidaway Institute labs. In the free-form early days of productivity measurements, enough C-14 made it into the ambient spaces of many Skidaway Institute labs that C-14 dating indicated that our labs existed about 50,000 years in the future. The levels of so-called contamination were in no way concerning for health or safety, but they made natural abundance measurements impossible without a “clean” space for sample storage. The bright yellow room with the pink and green interior and cold room on the second floor of the barn were the result. From those barn labs, autonomous vehicles were staged, packed and deployed for oceanographic research off western Africa, Peru, Panama, New Guinea, deep shelves off Cape Hatteras, California, Oregon and other locations, as well as the Georgia shelf. Samples were returned and stored in the yellow lab upstairs. The barn provided another opportunity for me when I was drafted in a weak moment to try to improve what was quite dismal visitor housing at Skidaway Institute in the 1980s. The first housing we made habitable was the barn apartment. As we worked through the process of getting three NSF grants for housing, we also were able to set up a small laundry room in the barn so that volunteers could keep clean linens in the housing we did have. The first successful grant built the quadraplex (Menzel, Zeigler, Carpenter and Knight apartments). The second grant rehabilitated the housing that existed since the plantation days (the barn apartment, now renamed Baggett, Rice House, Thomas and Martin apartments). The third grant built the Commons. I spent many hours in that barn laundry room while most of my weekends and holidays were spent cleaning housing units before the institute finally figured out how to pay someone to do that as a real job. Rick and I retired in 2008 and headed west with our five cats. All I know of the modern Skidaway Institute is what I read on the website and Facebook pages and occasional emails from friends still there. Skidaway was wonderful to us and the barn was a big part of the ease with which our research was facilitated. It was with considerable pleasure that we learned of the grand and useful future being planned for the good old barn. Savannah residents Michelle and Barry Vine presented a gift of $79,000 to the University of Georgia Skidaway Institute of Oceanography to support the institute’s cutting-edge oceanographic research. In recognition of the gift, UGA Skidaway Institute plans to name an observation laboratory in honor of Michelle Vine’s father, Albert Dewitt Smith Jr. The Vines’ gift is the largest monetary donation ever given to UGA Skidaway Institute. 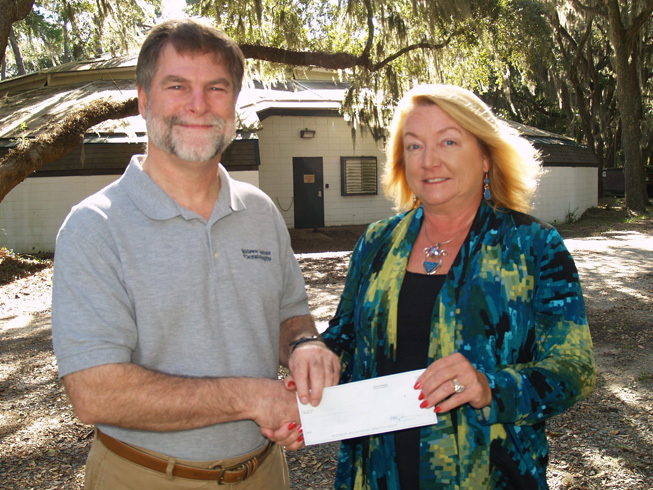 Michelle Vine presents a check to Skidaway Institute interim executive director Clark Alexander in front of the Roebling cattle barn. Vine’s father, Al Smith, was a World War II Marine Corps veteran, and, like his daughter, a UGA graduate. He worked in industrial relations for General Motors in Doraville, Lockheed in Marietta and Union Camp Corp. in Atlanta and Savannah. For the last 12 years before his death in 1998, he owned Complete Security Systems. The Albert Dewitt Smith Jr. Observational Laboratory will be located in the soon-to-be-created Center for Hydrology and Marine Processes. Earlier this year, the Georgia General Assembly approved a $3 million appropriation to renovate and repurpose a circa-1947 concrete cattle show barn for laboratory and meeting spaces and as a home for the center. Innovative for its time, the cattle barn was constructed by the Roebling family. The Roeblings established the Modena Plantation in the mid-1930s, and raised black angus cattle and Hampshire hogs before they donated their land to the state in 1967 to create Skidaway Institute. The National Science Foundation has just awarded Drs. Dana Savidge, Catherine Edwards and their colleagues funding to study the processes that drive water exchange (and the particles and organisms associated with the water) in the vicinity of Cape Hatteras. Two new scientists have joined the Skidaway faculty: Drs. Elizabeth Harvey and Julia Diaz. Drs. Harvey and Diaz are examining how planktonic organisms interact with one another and how they influence their surroundings. Dr. Aron Stubbins has been examining how changing climate, leading to loss of ice from glaciers and from permafrost, is altering carbon transport and utilization in Arctic ecosystems; while Dr. Cliff Buck and his colleague, Dr. Chris Marsay, are studying the flux of trace metals into and through that same region. Many Skidaway scientists are focusing on processes and consequences of sea level rise, particularly its impacts on barrier islands and marshes, and how changes in salinity associated with increased inflow of ocean water into coastal rivers and creeks influences nutrient and carbon flows in coastal ecosystems. 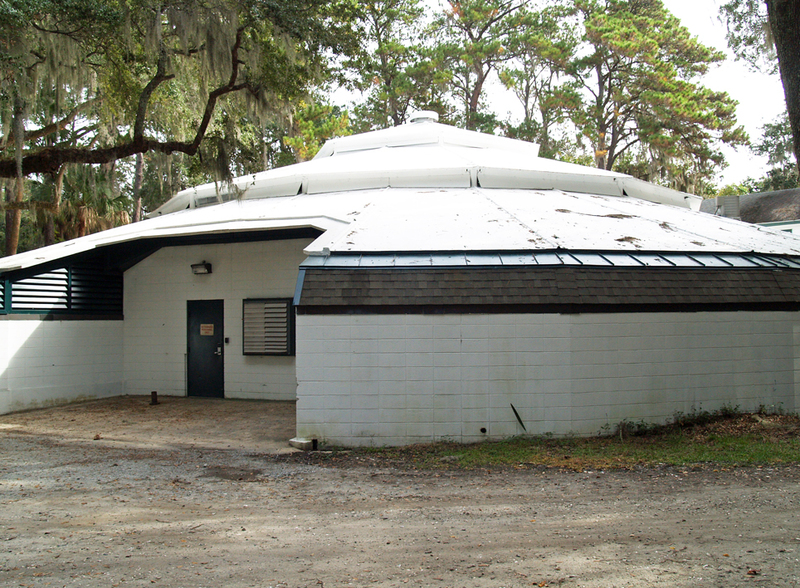 Finally, in the coming year, state funds will help to repurpose the Institute’s iconic cattle show barn from the Roebling era into the Center for Coastal Hydrology and Marine Processes (CHAMP), with a focus on research and education directed toward understanding influences on coastal systems and the wise stewardship of coastal resources. These examples underscore the importance of our work, and they are just a small part of the quiet, yet meticulous way we pursue our mission to advance understanding of coastal and marine environments. That mission, in turn, is part of Skidaway’s larger vision — to continue as an international leader in interdisciplinary ocean research, developing and promoting collaborations in science, education, policy and public service. We work with scientists from around the nation and around the globe, and with students and scientists from elsewhere who are drawn to Skidaway to conduct their research. The international science community is well aware of Skidaway Institute’s research and its scientists. Our reputation has been built over nearly 50 years by quiet, yet fundamental, research and education. Our success and reputation hasn’t happened alone, however; indeed, our efforts have been aided by the support of many. It has been your contributions to the Associates of Skidaway Institute that have allowed me to invest in valuable research and education pilot projects, and to support students, staff and faculty in their efforts. With your help, we have been able to reach out to the community to help with issues facing coastal resources; to support undergraduate and graduate students who wish to study here at the Institute; and to provide promising young faculty members with additional resources to answer urgent research questions. Please consider sending a contribution to support our future efforts — today! I am very proud to have been a small part of Skidaway’s history, first as a graduate student in the 1970s, and more recently as its director. I am stepping down as executive director of Skidaway at the end of June, and assuming my faculty position. I do so with mixed feelings, because Skidaway Institute of Oceanography and its faculty, staff and students have been so important to me. However, it is time for new leadership, with new ideas, to drive Skidaway Institute of Oceanography to greater heights. That will ensure that we continue to attain our mission and vision; that we remain known for world-class science; and that we succeed in our efforts to create a more knowledgeable citizenry capable of promoting sound utilization of natural coastal and marine resources while capitalizing on coastal economic opportunities. Dodie and I will continue to support the Institute through the Associates, and I hope that you will continue to do so, as well. Your regular contributions are a critical component necessary for our success. Thank you for everything that you have done to help me over the past 15 years. Editor’s Note: The Associates of Skidaway Institute is a branch of the University of Georgia Foundation, a 501(c)3 non-profit corporation. Most donations are tax-deductible. Donations to ASI are reserved for use by UGA Skidaway Institute. Donations can be made online by credit card. Click this link for additional information, membership levels and a link to a donation page: http://www.skio.uga.edu/?p=aboutus/asi. The Georgia General Assembly and Gov. Nathan Deal have approved a $3 million bond package in the FY17 state budget to renovate and repurpose UGA Skidaway Institute’s old Roebling cattle barn. The circa-1947 building is in poor condition and not currently functional as laboratory, teaching or meeting space. Renovations will allow UGA Skidaway Institute to repurpose the 14,000-square-foot facility to include research laboratories, a teaching laboratory and lecture space for students and community groups. The renovated facility will become home to the Center for Coastal Hydrology and Marine Processes, or CHAMP, with a focus on research and education directed toward understanding influences on coastal systems and the wise stewardship of coastal resources. Beginning in the mid-1930s, Robert Roebling and his family operated a cattle plantation, known as Modena Plantation, on the north end of Skidaway Island. In 1968, the Roeblings donated their land to the state of Georgia, a move that spurred the establishment of Skidaway Institute of Oceanography. The Roeblings constructed the barn from steel and concrete after World War II. It was the site of the plantation’s annual cattle auctions. Roebling’s daughter, Ellin Cochran Roebling, was married there in 1950. Over the past 47 years, the barn has served a variety of purposes. Currently, it is used primarily for storage.